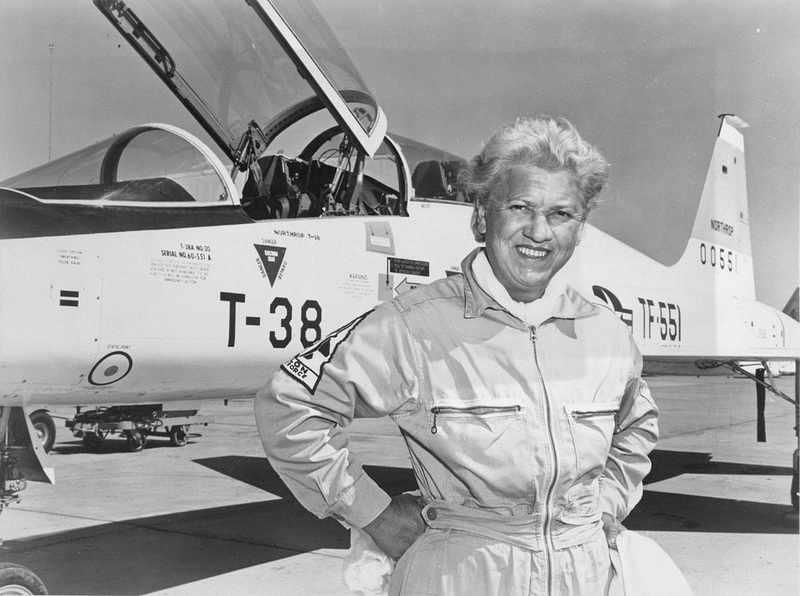 7 September 1961: As a consultant to Northrop Corporation, Jackie Cochran flew a T-38A-30-NO Talon, 60-0551, to a Fédération Aéronautique Internationale (FAI) World Record for Speed Over a Closed Circuit of 500 Kilometers, flying from Edwards Air Force Base, California to Beatty, Nevada, Lone Pine, California, and back to Edwards. 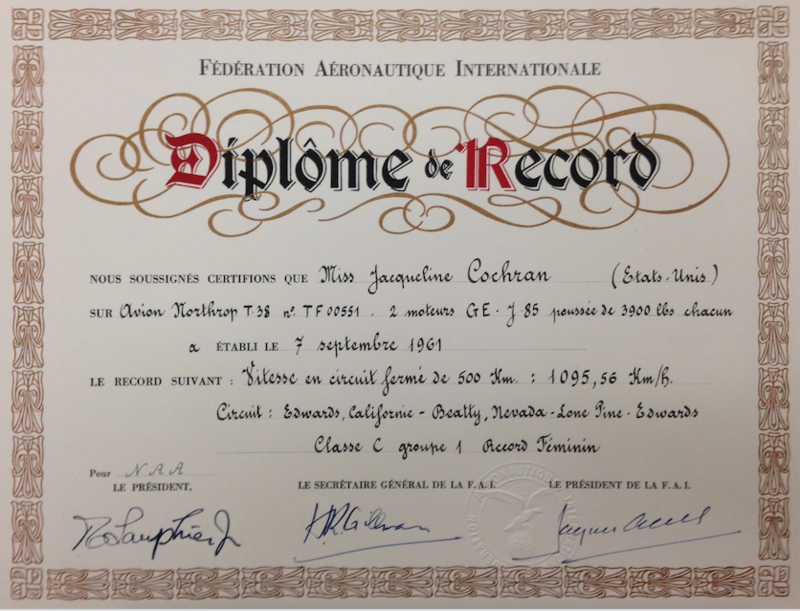 Her speed averaged 1,095.56 kilometers per hour (680.749 miles per hour). — Brigadier General Charles Elwood (“Chuck”) Yeager, U.S. Air Force, quoted in Jackie Cochran: An Autobiography, by Jacqueline Cochran and Maryann Bucknum Brinley, Bantam Books, New York, 1987, Page 305. 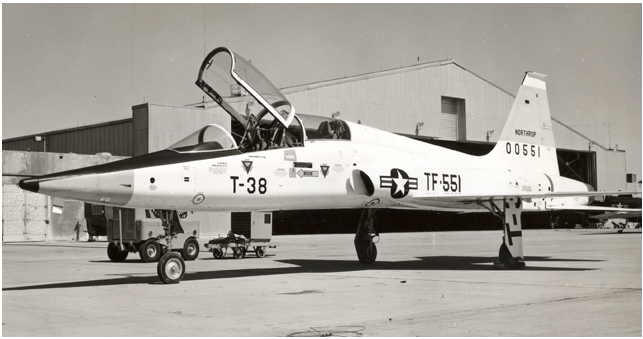 During August and September 1961, Cochran set series of speed, altitude and distance records with the T-38.